On April 2, 1924, Dr. James Jackson, a pioneer physician that came to Miami with Henry Flagler’s Railroad in 1896, died at the age of 58. Jackson Memorial Hospital is named in his honor. Dr. Jackson was the FEC Railway and Hotel physician. He was also a beloved doctor in the young Miami community. His former surgery center is still standing in the Brickell neighborhood. It is the headquarters for the Dade Heritage Trust. 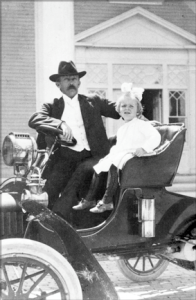 Figure 1: Dr. James Jackson and daughter Helen in front of the Royal Palm Hotel in 1905. Courtesy of Florida Memory.